Nations Press feature news WATCH:Video of a father being Maltreated by his Daughter,Circulating on the web! 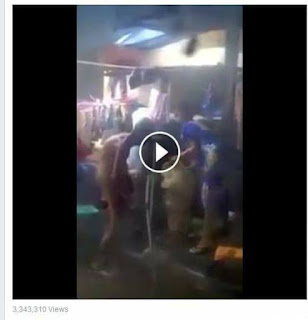 WATCH:Video of a father being Maltreated by his Daughter,Circulating on the web! This video reached more than 3,300,000 views after being uploaded by a concerned netizen. Showing in this video is the bad treatment of a daughter to her father as she takes a bath. Many reactions and bad comments were being posted against the lady.